Lake Tahoe. Top of the California Trail on opening day November 21, 2014. After seven long grueling months of a drought filled summer, the day finally arrived. 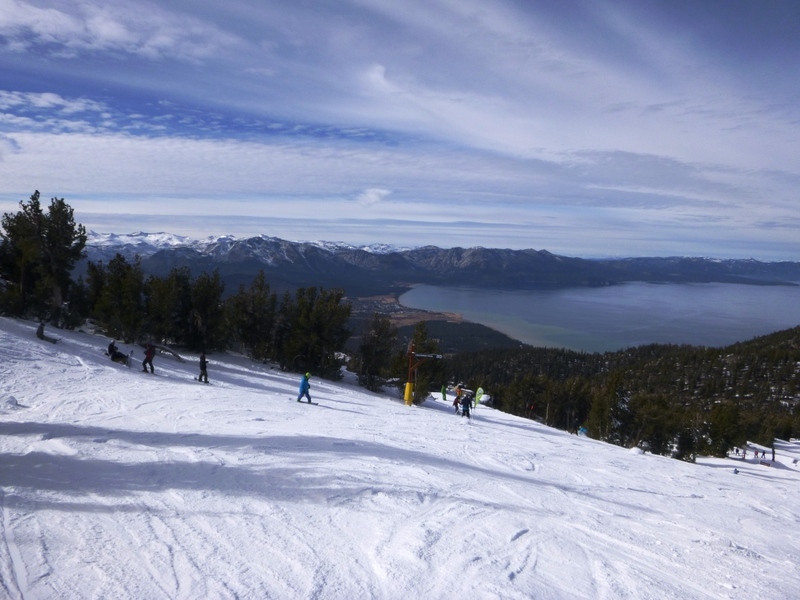 On a sunny Friday morning Heavenly ski resort opened for the 2014-2015 season. 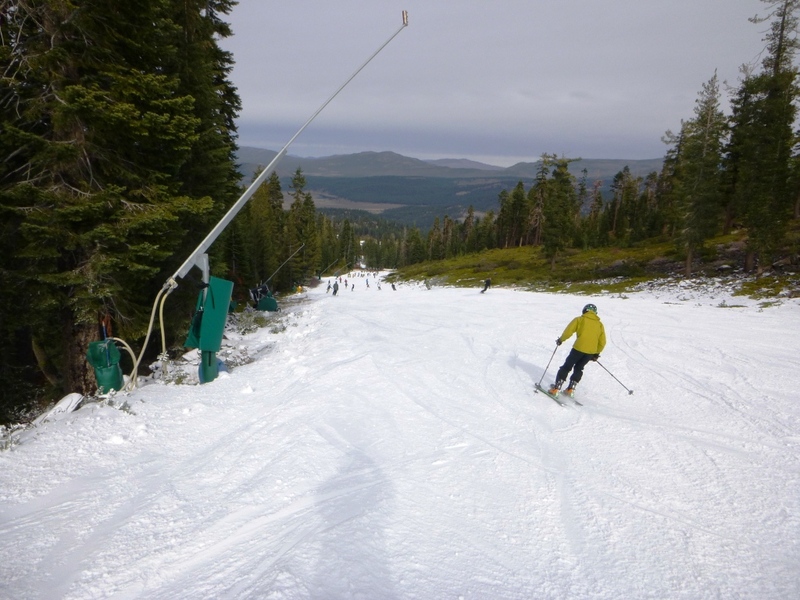 The gondola and Tamarack chair were running. This year, it was less crowded but still as exciting as ever. Everyone out there was glad to be back on the snow and enjoying the great weather. Even with only a few trails open you could still get laps in without having to wait 45 minutes in-between. The snowmakers did a great job on the snow as always and everyone had a blast. For Thanksgiving holiday the weather looks promising. Hopefully, this will let Heavenly continue to make snow all week. They should be able to get more terrain open. Lumber Jack, at Northstar on November 23, 2014. On Sunday November 23rd Local Freshies headed over to Northstar to check it out on opening weekend. Arriving around ten o’clock, we still found rock star parking in the free lot. A quick shuttle ride and we were at the village. The first thing you noticed was how peaceful it was. There were more employees than guests. This made it extremely easy to board the gondola. Upon reaching the top, it was excellent to see a few different lifts running. The best choice of the day was definitely Vista Express, which accessed Skid Run, Lumber Jack, and Lower Main St. It was a nice run long enough to work on technique and enjoy the snow. The ribbon of snow was definitely worth getting a few laps under your legs to prepare for those big powder days we love at Tahoe! Okay, it’s time. Begin your snow dancing and pray we get one of those signature Tahoe dumps that are normally measured in yardsticks instead of inches! The Sierras are due!